The Philippines’ richest person controls country’s biggest retail group, which includes SM Prime, the Philippines’ largest mall developer, with 42 malls. Group boosted stake in Atlas Consolidated Mining, owned by Alfredo Ramos (No. 30), to 28%; also rumored to be negotiating with Ortigas Group to buy property assets in Manila, worth an estimated $1 billion. Fortune includes son Henry Sy Jr.’s stake in power transmission unit National Grid. Tobacco king sold 49% stake in holding company of troubled Philippine Airlines to San Miguel for a reported $500 million, in April. Owns part of Philip Morris Fortune Tobacco, which has estimated 80% share of cigarette market. Assets include beer maker Asia Brewery and Hong Kong-based Eton Properties. Chemical engineer, mopped floors to pay for school. Enjoys flying helicopters. Port operator who controls Manila-listed International Container Terminal Services is this year’s biggest gainer, jumping 4 places to the third spot, following May public offering of Bloomberry Resorts, his new hotel and casino venture. To be managed by Las Vegas-based Global Gaming Asset Management, the casino is expected to open in Manila in 2013. Stock price of his conglomerate JG Summit, chaired by brother James Go, hit historical high in May as net income in the first quarter jumped 76%. Announced $1.2 billion spending plan this year, partly to expand fleet of budget carrier Cebu Air, run by son Lance, and open 3 new malls under property arm Robinsons Land. Former kitchen-appliance salesman made his first fortune in brandy. His Alliance Global has interests in food and beverages, real estate, gaming, power. Net profit soared 68% in 2011 to $280 million on booming property business. Liquor arm Emperador Distillers bought Diageo’s Philippines bottling plant in May for undisclosed sum. Chairman emeritus of Ayala Corp., which ceded spot as country’s biggest family conglomerate to Aboitiz family’s Aboitiz Equity Ventures. Group plans to invest $2.1 billion this year in property development, telecoms, infrastructure. Jaime Augusto, eldest son, is chairman. Along with Enrique Razon Jr., Tony Tan Caktiong (No. 12) and others, traveled in June with President Benigno Aquino to the U.K. and the U.S. to drum up investment in the Philippines. Founder of Metropolitan Bank, the country’s second-largest lender. Took family holding company, GT Capital, public in April, raising $330 million. Also has stakes in Toyota Motor Philippines, AXA Philippines, Global Business Power Corp. 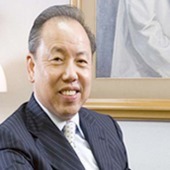 Son Arthur has been Metrobank’s chairman since 2006. Former minister of trade under Marcos regime. Top Frontier, investment firm he heads, has controlling interest in San Miguel. Atok-Big Wedge, largest part of his fortune, announced plans to shift from mining to oil and gas exploration. Says his listed net worth is overstated as it doesn’t take all his debts into consideration. Certified public accountant, Harvard Business School graduate. Controls San Miguel, once Southeast Asia’s largest food and beverage conglomerate, now with interests in power, infrastructure, heavy industry. In April it announced plans to take control of rival beermaker Lucio Tan’s lossmaking Philippine Airlines for $500 million. He’s rumored to be in ill health. Biggest asset is stake in power transmission firm National Grid, in which Henry Sy Jr. has 30% stake. Fortune up on better information about company’s value. President of Oriental Petroleum & Minerals; owner of luxury car dealerships. His Jollibee Foods, country’s largest fast-food company, has nearly a dozen different chains, including Chowking, Greenwich Pizza; more than 2,000 stores in the Philippines and 500 overseas. Plans to expand into Singapore, Indonesia, India. Says international stores, which now account for 20% of sales, will equal domestic sales by 2017. Line of customers greeted recent opening of Jollibee in Jersey City, its second outlet in N.Y. metro area. Started with one hypermarket in 1998. Today their Puregold Price Club is country’s second-largest retailer (after Henry Sy’s SM Group), with more than 70 hypermarkets, supermarkets and discount stores. It targets low- and middle-income consumers and small convenience store owners. Took company public last September raising $170 million; stock price has doubled since. Share fortune with children, 2 of whom sit on board. Lucio is chairman and chief executive, Susan is treasurer. Shares of Ayala Corp., in which siblings inherited minority stake from their late aunt, climbed as company posted record earnings in its real estate, banking and water units. Other assets include 25% stake in San Miguel, through Ongpin-led Top Frontier. Inigo was appointed to board of Philippine Airlines in April after San Miguel took controlling stake in the carrier. Chairman of newspaper Manila Bulletin also has interests in construction, hospitality, education, but biggest source of wealth is stake in 96-year-old Philtrust Bank, of which he’s chairman emeritus. Fortune, which he shares with children and grandchildren, tops $1 billion for first time. Chairs Aboitiz Equity Ventures country’s most valuable family conglomerate, with a market cap of $6.4 billion. Its growing power business boosted net profits to $500 million last year. Sits on board of Enrique Razon’s International Container Terminal Services. Shares fortune with brothers Mikel and Roberto. 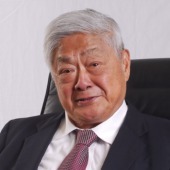 Founder, chairman emeritus of conglomerate Filinvest Development, took banking arm Eastwest public in April. Filinvest Land, listed property unit, is building 12,000 new residences this year. Son Jonathan is chairman, daughter Josephine chief executive. Longtime senator and former presidential candidate, his Villar Group is country’s largest home builder. He controls Vista Land & Lifescapes and Polar Property Holdings, both listed companies. Plans to launch 8 condo projects this year. Eldest son, Paolo, a Wharton grad, runs Vista; younger son Mark is a congressman. Gets bulk of fortune from drugmaker Unilab, cofounded by late husband and run by grandson Clinton Campos Hess. Family’s Singapore-listed Del Monte Pacific reported over 70% jump in net profits in 2011, partly on better sales and margins in Europe. Son Joselito is Del Monte’s chief executive. Daughter Jocelyn chairs Unilab. President of Mercury Drug, privately held drugstore chain with more than 700 stores. It is ranked among country’s top 5 corporate taxpayers. Father, Mariano Que, who founded company, was recently named the “Father of Health and Wellness Retailing” by country’s retailing association. His sprawling Yuchengco Group has interests in more than 60 businesses, including controlling stake in Rizal Commercial Bank, among country’s top 5 banks by assets. In April Supreme Court affirmed a libel award against the now defunct Manila Chronicle, owned by Robert Coyiuto Jr., which had published article calling him a Marcos crony and corporate raider. Former ambassador to China, Japan, Germany. King of Comedy Dolphy (or Rodolfo Vera Quizon Sr. in real life) remains in critical condition at the Makati Medical Center as of Thursday morning. Dolphy’s son Eric Quizon said his father’s condition is somewhat better, but still critical. The family of veteran actor-comedian Dolphy is hoping for a miracle as their father remains in critical but stable condition Thursday at the Makati Medical Center. His family continued to remain strong for their father and for each other, especially after Dolphy opened his eyes for the first time in three or four days during dialysis, said his son Eric Quizon. “Trying to be strong for each other,” Quizon noted in a text message to GMA News Online when asked how he and the family was coping with their father’s situation. “We are taking everything in stride. Hoping for a miracle at this point,” he added. “Somehow nagmulat ang kanyang mata for a while at tumingin siya sa paligid. Siyempre natuwa ang mga kapatid ko, kaming lahat dahil alam naming na nadidinig niya kami ng time na yun and I knew he was trying to communicate with us,” said Quizon during a press conference at the Makati Medical Center. Suffering from complications of a chronic obstructive pulmonary disease or COPD, Dolphy was rushed to the Makati Medical Center intensive care unit last June 9. Good at bad news sa mga Pilipino na nais magtrabaho sa ibang bansa. Isang panukalang batas ang inihain sa Kamara de Representantes na naglalayong madagdagan ang pondo na magagamit sa agarang pagpapauwi ng mga magigipit na overseas Filipino Worker (OFW). Ngunit sa ilalim ng House Bill (HB) No. 6195 na inihain ni Manila Rep. Ma. 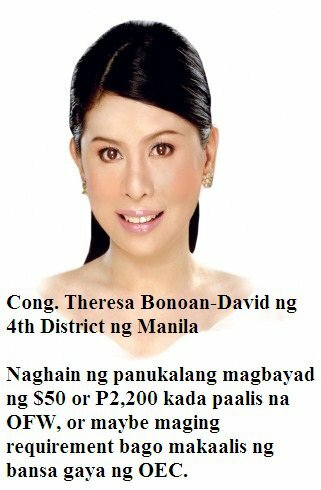 Theresa Bonoan-David, ang pondo ay manggagaling sa kontribusyon ng mismong mga Pinoy na nais makipagsapalaran sa ibang bansa. Nakasaad sa panukalang batas na kailangan magbigay ng kontribusyon ang mga aalis na OFW ng $50 sa Overseas Workers Welfare Administration (OWWA) na ilalaan naman sa Emergency Repatriation Fund. “The bill intends to provide the necessary measures for the government to carry out its responsibilities to assist distressed OFWs in cases of war, epidemic, disaster or calamities, natural or man-made, and other similar events, and promote their general welfare,” paliwanag ng kongresista. Aamyendahan ng panukalang batas ang Republic Act 8042 o ang Migrant Workers and Overseas Filipinos Act of 1995, upang mailagay ang probisyon na nagtatakda sa mga aalis na OFW na magbigay ng $50 para sa Emergency Repatriation Fund ng OWWA. Sa kasalukuyan, nagbibigay ng $25 OWWA contribution ang mga umaalis na OFW. Naniniwala si Bonoan-David na hindi sapat ang kasalukuyang pondo na nakapaloob sa Emergency Repatriation Fund na nilikha sa ilalim ng RA 8042, at pinamamahalaan ng OWWA. “There are millions of OFWs all over the world which the Philippine government is mandated to protect and safeguard under RA 8042 but it seems incapable to efficiently help distressed OFWs due to financial constraints,” paliwanag niya. Itinatakda rin sa HB 6195 ang pagbuo ng up-to-date database at locator system, disaster preparedness at mitigation measures para sa mabilis na paglilikas sa mga OFW. If this amendment would be approved, it would be an additional burden to millions of Overseas Filipino Workers who are already contributing so much for the Philippine Economy. We, the OFWs around the world, the one they called Modern day Heroes, are actually their Modern day Milking cows! Better DON’T VOTE That Congresswomen this coming 2013 election. Every money earn of every OFW they need to sacrifice their self for the sake of their family and sometimes they only low salary rate then if the bill will pass what will happen. Congresswomen are you STUPID? to create that kind of bill? try to work as OFW and then you can experience how difficult to work abroad and sometimes their boss or employer they tread them bad, you need to think 1st before creating that STUPID BILL. How about instead you create that BILL create a a certain bill for additional taxes for SIN TAX because very filipino died because of the cigarette and instead creating that STUPID BILL create some additional project or lesser the Pork barrel. The taxes of every Filipino people and consider the taxes gain from OFW, you don’t have your salary as congresswomen in manila.. This past year, I have come to appreciate the power of truly loving myself. Most of my life, being alone was one of my biggest fears. I found myself in numerous relationships for the wrong reasons and ended up settling in ill-fitting ‘partnerships’. This deeply rooted fear and lack of understanding of myself caused the relationships to become my whole world; my focus of attention; my center. I would sacrifice my own goals for the other person. And, when the relationship collapsed, so did my sense of self. Through much introspection, I realized the source of these failed relationships was myself. 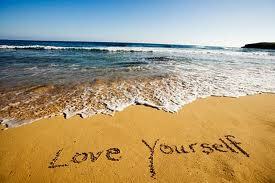 I realized that I didn’t truly love or appreciate myself and had relied on external sources for love and approval. I decided to change. I had to overcome my fear of loneliness by finding independence and personal freedom. Even since I found true appreciation for myself, the quality of relationships I have attracted has been phenomenal. I have discovered that the more I loved and understood myself, the less I feared being by myself, and the more healthier relationships I was able to attract into my life. I started doing what I called “Dates with myself“. Regardless my external relationship status, I would schedule time with myself. I would literally take myself out on a date and spend that time totally focused on myself. It’s my time. We spend so much time and energy focused on others that we forget to recharge the source of that energy. It is only when you are well that you can have the energy and internal resources to make a positive difference and help others. This is a simple, yet powerful concept that can dramatically improve your wellbeing, effectiveness and mental health. Remove Disturbances – unplug your phone, power down the cell phone and blackberry, shut down the computer, turn off the tv. Do not let your mind get distracted during your self-date. This is your time to just be with yourself. Being Solo – It’s important that you are on your own. You can talk to strangers, and make new friends, but you are on the self-date to get acquainted with yourself, no one else. If you live with a partner, schedule it so he/she isn’t home, or just take yourself out of the house. If you have kids, find a sitter, or plan around when your kids are not at home. It’s also important to realize that this time is a gift for yourself, and you should only be focused on your well-being. Schedule – Plan how long you would like your dates to last. Set a minimum time, and commit to focus on yourself for at least that time. I typically schedule 2-4 hour dates with myself. Communicate – if you are in a relationship, it’s important to communicate what you are doing and it’s benefits clearly with your partner. Not only do we get their support, but also avoid any misunderstandings or neglect. Reading Date – Go to a trendy café or find a comfortable place at home and read something inspirational for an hour or more. Have some hot herbal tea, cut up some fruits or crackers with cheese. Fully enjoy the experience. A unique strategy developed to help a debtor manage their debt. This strategy is usually developed and implemented by an outside company or organization on behalf of the debtor, usually because the debtor is unable to sufficiently manage their debt on their own, due to lack of knowledge or because they are overwhelmed by the amount of debt. Includes determining the types of refunding to carry out, the types of securities to sell, the interest rate patterns to use, and decision making on callable issues. Since World War II, federal debt management has become an important Treasury function affecting economic conditions in general and money markets in particular. The economy and the money markets are affected in several ways by the large government debt. First, interest must be paid on government securities that are issue to finance the national debt, which now exceeds $7.5 trillion. One of the basic objectives of debt management is to handle it in such a way as to help establish an economic climate that encourages orderly growth and stability. Another objective of debt management is to hold down treasury interest cost. The influence of treasury policies may also tend to reduce all interest rates. The first debt and debt service reduction operation the World Bank financed was the Debt Management Program Loan to the Philippines, approved in 1990. Its main objective was to help restore the Philippines’ creditworthiness by reducing the destabilizing pressures exerted by an excessive debt-service burden. The government, having inherited a huge debt service obligation, formulated a debt restructuring program for the country and a request for debt-relief from creditors, with assistance from the Bank and the IMF. 1. The government adopted a program of deep structural and macroeconomic reform. 2. It reduced the debt stock by about $650 million equivalent, or about 2.3 percent of its outstanding debt at the time, using Bank and IMF financing to buy back $1.46 billion of debt from commercial banks at 50 percent discount. 3. By signaling confidence in the Philippines’ commitment to sound macroeconomic reform, the Debt Management Loan opened up international financial markets for the country. However, the program’s success also led to a new problem. It encouraged new loans and other inflows of capital, which eventually became a major source of monetary problems and instability. The resulting increase in inflation forced the government to rein in the economy, suppressing growth; the currency tended to appreciate and the new loans tended to substitute for public sector savings. Clearly, in debt restructuring exercises, foreign creditors must give only enough assistance to avoid destabilizing pressures; the full benefits of debt restructuring can be captured only in a stable economic environment. In the ten years after 1986, when the Marcos regime fell, the Philippines has carried out a remarkable program of economic liberalization and modernization, initiated in the midst of a deep economic and political crisis that started in the late 1970s. The crisis had serious macroeconomic manifestations–including high inflation, large current account deficits, and huge arrears in external debt. But its source was the misallocation of resources embedded in the model of development then applied in the country, a model based on pervasive state intervention and overprotection of industry. Reaching a path of sustainable growth required both macroeconomic stabilization and deep structural reforms. By the mid-1990s, this transformation was well underway, aided by greater political stability. The Debt Management Program Loan followed six other adjustment operations that the Bank carried out to help the country in this process. By 1986, the ratio of external debt to GNP in the Philippines had peaked at 97 percent (see Figure 1). To reduce the heavy debt-service burden– which was concentrated in the public sector–the government, the Bank, and the IMF agreed to combine general macroeconomic reform with a debt reduction agreement with the government’s creditors. The Debt Management Program Loan, complemented by other IMF and bilateral funds, provided $200 million in 1989-91 toward $1.46 billion of debt buybacks at a 50- percent discount from low-exposure commercial banks. The main objective of the loan was to help restore the country’s creditworthiness by reducing the destabilizing pressures that an excessive debt-service burden exerted on macroeconomic management. The loan was consistent with the Bank’s strategy of helping the Philippines to achieve a sustainable path of growth by making investments more efficient. It complemented ongoing Bank support to improve the government’s investment planning and procurement, liberalizing trade and banking, and continuing with privatization. The debt reduction exercise started with a 1990 pilot program, which was supported by the Bank loan. The intention was to follow with a second, larger, debt and debt service reduction operation. However, the pilot program encountered two major problems–one related to the design of the Bank support and the other to the operation’s success in increasing capital inflows. In the original design, the Bank had not intended to attach conditions to the operation, because debt reduction was meant to complement ongoing structural reforms, and those reforms were already being monitored by the preceding Bank loans. In the end, however, the Bank decided to attach similar conditions to the Debt Management Program Loan. But those conditions were unnecessary because they basically restated what was already covered elsewhere, and some of them entailed institutional changes that by definition take a long time to implement. They thus were not appropriate for an operation of a commercial type, which requires quick response to market conditions. Added to this, the Bank applied its standard disbursement procedures, which are too slow for an operation requiring speed of action. These design flaws delayed disbursement, thus preventing the central bank from taking full advantage of rapidly changing market conditions. The other serious problem was the effect that greatly increased capital inflows had on macroeconomic stability. The authorities could not foresee their own success when they began negotiating for additional capital as part of their debt reduction exercise. Facing uncertainty, it made sense for the government to err on the side of exaggerating the need for capital inflows. But as the debt reduction exercise coincided with falling US interest rates and a subsequent boom in private capital flows to developing countries, new loans began entering the Philippines in record volume, eventually becoming a source of financial instability. Partly for this reason, the Bank correctly decided not to participate in the second, larger, debt and debt service reduction operation. Providing even more balance-of-payments support would have increased inflationary pressures. The Debt Management Loan helped improve the country’s creditworthiness in two ways. First, it reduced the burden on the government from external debt, which had produced destabilizing fiscal and quasi-fiscal deficits. Second, it signaled to international markets that the Bank trusted the policies the government was pursuing and was willing to increase its exposure in the country. This opened up international financial markets for the Philippines. Although the operation’s impact on institutional development was negligible, the operation was cost-effective. The objective of reducing the debt burden was important and, on the whole, the outcome of the Philippines’ debt management program was satisfactory. In particular, the program helped to make Philippine investments more efficient, decrease the risk premium required for international financing of investments, reduce the external debt burden service to manageable levels, and attract large capital inflows. Equally important, these objectives were attained while the country was resolving serious political problems. But the huge inflow of capital had a destabilizing effect on the economy in the 1990s. In response, monetary authorities found it necessary to adopt restrictive credit policies, which slowed economic growth. Fortunately, the government has recently taken corrective action to help stabilize the economy, thus creating a sounder basis for the resumption of foreign investment. – The full benefits of a debt restructuring operation can be captured only in a stable economic environment. Aiming to maximize the volume of new lending to the debtor country in a debt reduction exercise can result in capital inflows greater than the country can safely absorb, leading to macroeconomic instability and the substitution of foreign savings for public sector savings. – Increases in capital inflows should not be used as a measure of the benefits from a debt reduction exercise, for three reasons. (1) The new resources are liabilities on the country’s balance sheet. Increasing indebtedness is a neutral activity; its value to the country depends on the use to which the new loans are put. In the Philippines in the 1990s, excessive capital inflows brought about serious macroeconomic problems. (2) The dynamic benefits the new loans are supposed to measure–improved access to international financing–are captured by the reduction in the international risk premium (see box). The instability of the 1990s threatened the Philippine program’s sustainability, so domestic financial markets did not immediately benefit from the reduction in the risk premium imposed on the country in international markets. (3) Excessive capital inflows can become destabilizing. The Bank should make sure that capital inflows are monitored and should suggest restricting those attracted by government negotiations when they become a source of instability. – The Bank should adopt streamlined procedures for debt reduction operations. In debt relief and debt swaps, speed is important. Bank procedures caused delays, which prevented the Central Bank from taking full advantage of rapidly changing market conditions. The path of the decline in the risk premium on Philippine debt paralleled the decline in interest rates on the US dollar, which meant that the yield international investors required on Philippine debt fell from 17.2 percent in the first quarter of 1989 to 8.3 percent in the third quarter of 1993. There is no doubt that falling US interest rates had an important, positive effect on the outcome of the Philippine reform program. But two points must be kept in mind in analyzing cause and effect. First, the risk premium fell only after the second, larger debt reduction exercise took place, in 1992. After the first debt reduction loan, the premium actually increased substantially, probably because of the slowdown in the nation’s growth rate and the outburst of macroeconomic instability in 1991-92. Second, the decline in the risk premium coincided with a general increase in demand for investments in developing countries, largely associated with the decline in US dollar interest rates. That is not to say that government action in the Philippines was no factor in the success of the country’s debt reduction program. For one thing, only countries that carried out credible efforts to stabilize their economies and made them more efficient shared in the boom of investment in developing countries. And changes in the discount applied to Philippine debt mirrored the country’s macroeconomic performance, increasing initially as performance deteriorated and then declining as the government established a credible stabilization program and began the second stage of its debt reduction program. Public debt or public borrowing is considered to be an important source of income to the government. If revenue collected through taxes & other sources is not adequate to cover government expenditure government may resort to borrowing. Such borrowings become necessary more in times of financial crises & emergencies like war, droughts, etc. Public debt may be raised internally or externally. Internal debt refers to public debt floated within the country; while external debt refers loans floated outside the country. The instrument of public debt takes the form of government bonds or securities of various kinds. Such securities are drawn as a contract between the government & the lenders. By issuing securities the government raises a public loan & incurs a liability to repay both the principal & interest amount as per contract. In India, government issues treasury bills, post office savings certificates, National Saving Certificates as instrument of Public borrowings. One of the primary purposes of long-term state and local borrowing is to allow governments to finance needed capital projects without causing burdensome changes in tax rates, fees or other charges. In theory, governments borrow for public purposes, i.e., to improve the quality of lives of the communities within their jurisdiction. Decisions such as the type of debt to be issued and who will repay the debt depend on political and economic factors. Governments usually finance expenditures of public sector capital or infrastructure by sale of bonds or through other forms of government borrowing. Bond financing, however, can be politically sensitive. Governments may often be able to make decisions about borrowing without being accountable to taxpayers – increasingly witnessed in public financing of prisons. Some public sector economists are of the opinion that in the absence of constitutional restraint, there is no guarantee that government borrowing will be used effectively. Abuse of government borrowing could also be controlled if well-informed taxpayers play a role in government decisions about public finance. Public debt: This entry records the cumulative total of all government borrowings less repayments that are denominated in a country’s home currency. Public debt should not be confused with external debt, which reflects the foreign currency liabilities of both the private and public sector and must be financed out of foreign exchange earnings. Both debts are similar in that they withdraw resources from alternative uses, assuming full employment. The governments borrow when it suffers from revenue shortfalls in financing its varied activities or when it desires to stabilize the economy by holding on to the resources. Whether it spends the money or not, the thing to remember is that borrowing operation withdraws resources from alternative private uses and to that extent, diminishes the potential of the private sector in producing goods and services. They are different in the manner of securing the resources for debt service. The governments utilize its vast compulsory power to tax whereas the private borrower has to rely on return from his investment. As a corollary consideration, repayment of debt can cause bankruptcy on the private debtor’s part if the returns are insufficient to cover repayments or his assents are destroyed by some calamity of sorts. Difference which is often cited in the “burden of future” generation issue is that private debt is a microeconomics concept while public debt is a macroeconomic concept. Private debt is owned by one individual or group to another, parties which are distinct and separate units. Public debt internal i.e., public debt is owned to ourselves, the economy or the country being viewed as an organic unit. When we adopted a monetary base of intrinsically worthless paper money in the mid-20th century, we created a new paradigm that is still widely misunderstood. The imperatives are quite different from those of the earlier gold-based system. The key to maintaining the purchasing power of money is to control the price of credit. That means controlling the cost to banks of acquiring the reserves of base money they need to back their lending. It is up to the Treasury and Fed acting together to do that, and Treasury plays an indispensable role. To augment inadequate resources for normal housekeeping and to provide essential services such as education, health and sanitation, police protection, administration of justice, defense, and the like population growth and the rising trend towards industrialization and urbanization, and attendant problems have brought corresponding pressures on government resources to be channeled to these area. To finance participation in war. The public borrows from banks in order to acquire transaction deposits (bank money) to spend on investment or consumption. The government borrows from the public only to recapture its deficit spending. Otherwise the money supply could grow too rapidly and create unacceptable inflationary pressures. The Public Sector Net Cash Requirement (PSNCR) is the combined financial deficit of central government + local government + the public corporations. It measures the annual borrowing requirement of the government sector in the economy. When the government is running a budget deficit it means that total public expenditure exceeds revenue. As a result, the government has to borrow through the issue of government debt. If the government sector is taking in more revenue than it is spending, there is a budget surplus allowing the government to repay some of the accumulated debt, of perhaps cut the burden of tax or raise government expenditure. As the chart above shows – there has been a significant improvement in government finances in recent years. The government has run large budget surpluses in each of the last three financial years. PSNCR as a % of GDP gives economists a good measure of the scale of the debt problem that may exist. Cyclically adjusted PSNCR takes into account the effect the economic cycle can have on the PSNCR. For example, in a recession the PSNCR nearly always rises automatically because of higher benefit payments and reduced tax revenues. The public-sector net cash requirement is how much the public sector needs to borrow to finance its expenditure plans each financial year. It is borrowing by central government, by local authorities and by public corporations. The national debt is the total amount of borrowing undertaken by central government which has not yet been repaid. In other words, it is the sum of all outstanding central government debt. In recent years the total national debt has started to fall following the movement into surplus on the government’s own financial accounts. DOES A HIGH LEVEL OF GOVERNMENT BORROWING MATTER? The important question is what central government does with the money it has borrowed. When funds are allocated to public sector capital investment in roads, schools, hospitals and other items of infrastructure this enables the nation to increase the output it can produce. This will make it easier to pay off previous debts or to pay the interest on them. However, a budget deficit has to be financed – normally through the issue of new government debt to the capital markets. For a government with a good credit rating, the sale of new debt is rarely a problem. Most financial institutions are happy to purchase debt because they regard them as assets on their balance sheets. Secondly if there is a large pool of savings in the economy, the issue of government debt (which soaks up some of these savings) will have little impact on the ability of private sector businesses to find sufficient funds to finance their investment. MANILA – The country’s debt stock as of end-August was 5.1% higher than what was recorded as of the same period last year as the government raised more funds to plug the widening budget deficit. Data from the Bureau of Treasury showed, the Philippines’ outstanding debt amounted to P4.231 trillion as of the first 8 months of the year, P207 billion more than the P4.024 trillion as of the same period in 2008. The latest figure was also 0.2% or P10 billion higher than July’s P4.22 trillion. The Treasury blamed the month-on-month increase in the debt on the depreciation of the peso and appreciation of third currencies against the dollar, and adjustments arising from the conversion of loans from multilateral lender Asian Development Bank. At the end-August level, each of the 92.2 million Filipinos owed P45,889. The Treasury said 55% of the total national debt came from domestic creditors while 45% was sourced from foreign ones. Domestic debt declined 2.1% to P2.309 trillion as of end-August 2009 from P2.359 trillion as of the same month last year. Foreign debt, on the other hand, soared 15.4% to 1.922 trillion from P1.665 trillion as the government floated more foreign currency-denominated bonds and availed of more official development assistance loans from multilateral institutions. Last month, the Philippines, one of Asia’s largest sovereign debt issuers, sold $1 billion in 25-year global bonds, bringing to $3.25 billion its total foreign debt issues this year. A portion of the latest bond proceeds may be used to finance this year’s budget shortfall, which is expected to breach the government’s P250-billion fiscal gap ceiling. Deficit financing of government activities can create alarm in some circle due to the fear that the debt can saddle future generations with the burden of interest payments and amortizations. The term “burden” merit clarification. Burden can be viewed in the light of the existence of the debt itself. “Real Burden” causing the loss or diminution of resources in private hands due to the incurrence of the debt, and as a result, less goods would be available than would have been if the debt were not incurred. The burden of debt as debt can also viewed as direct or primary and secondary or frictional – direct or primary burden referring to the withdrawal of resources from private use and secondary or frictional referring to difficulties arising from transfer problems. MANILA, Philippines – Each Filipino now owes P47,039 to local and foreign creditors, based on the national government’s total debt stock as of September. A month before that, each of the 92.2 million Filipinos owed P45,889. The culprit: the widening budget deficit that prompts the government to borrow some more. Additional debts, which address current funding needs but could be paid in the future, translate to more debt burden for future generations. The fact that the Philippines have been spending more than it earns is not earthshaking. Even the richest of countries have budget gaps. But prudence dictates that this deficit, which is a fiscal policy issue, has to be manageable. Already, there are concerns about how the Philippines is faring as far as fiscal discipline is concerned. The Philippines blew past its P250-billion fiscal gap target for 2009, recording a deficit of P272.5 billion with one more month to go before the year ends. If this year’s experience is any guide, analysts believe the country’s 2010 budget deficit will also breach the government’s official target. Weak revenues—due to slower economic growth, several revenue-eroding laws, the negative impact of typhoons on tax collection, and lackluster privatization of assets—have been blamed for the wider-than-targeted deficit this year. Except for privatization, which is expected to pick up steam, the same factors are seen to push the budget deficit above goal in 2010. Despite the continued deterioration in the government’s fiscal position, analysts at some of the biggest banking institutions say it’s not as bad as it seems. They said more revenue-eroding measures that will take effect next year as well as the lingering economic downturn will take toll on the collections of the government’s main tax agencies, the Bureau of Internal Revenue and Bureau of Customs. The government is also expected to spend more for reconstruction efforts following back-to-back typhoons. Taking these into account, Finance Secretary Margarito Teves said the actual 2010 deficit figure may hit close to P300 billion, the same as their “worst-case scenario” for the 2009 budget gap. Teves’ forecast is in line with analysts’ consensus. Viewed in the context of the current economic crisis, financial experts say the country’s swelling budget shortfall is not worrisome at all. Unlike in 2004, when the poor fiscal state of the country was a product of the government’s own hubris, the recent global crisis has made a large deficit more acceptable. According to Metrobank head of research Marc Bautista, the country needs to incur a deficit to be able to sustain economic growth by curing sluggish demand through increased spending. He noted that other countries are doing the same thing. “There is room for deficit spending in 2010, the markets all but expect it already, and the Philippines are not alone in this predicament,” Bautista said. DBS strategist Philip Wee, for his part, said the widening budget gap has not really affected the strength of the Philippines, given the country’s steadily rising external liquidity, and the peso’s stability. Nonetheless, the Philippines are eyeing to wipe out its budget deficit by 2013. The country first targeted to balance the budget in 2008, but pushed this goal back to 2010 due to adverse external developments, including the rise in commodity prices and the onset of the global financial crisis. The 2010 goal was pushed further to 2013 to accommodate deficit spending for the economy. As the country consolidates its fiscal position, Teves said that the government’s debt as a percentage of gross domestic products will also drop to 46.1% by 2013 from the programmed 57.6% by end-2009. Similarly, he said the consolidated public sector fiscal position—the combined fiscal positions of the government, state-owned agencies and government financial institutions—will post a surplus during that year. In the end, the economic managers will be assessed on how they managed the country’s finances. After all, it is the future generations of Filipinos who will bear the burden of today’s folly. MANILA – The government spent a total of P549.016 billion in the first 9 months of the year to service its debts, up 2% from the P537.352 billion it spent in the same period last year. According to the Bureau of Treasury, the increase was in line with the government’s efforts to consolidate its debts. Of the P549.016 billion, the government spent P235.283 billion for interest payments, slightly higher than the P234.706 billion paid out in the same period last year, data from the Treasury showed. Interest payments made to domestic creditors totaled P132.635 billion, down 6.1% from P141.327 billion last year. On the other hand, interest payments to foreign creditors rose 9.9% to P102.648 billion from P93.379 billion a year ago. For principal payments, the government spent a total of P313.733 billion in January to September, or 3.66% higher than the P302.646 billion disbursed in the same months last year. Principal payments to local lenders amounted to P226.378 billion, lower than last year’s P234.332 billion, while payments to foreign lenders rose to P87.361 billion from P68.314 billion. For the month of September alone, the government shelled out a total of P61.277 billion to service its debts, up by 1.87%t from the P60.149 billion it spent in the same month in 2008. The governments had programmed P698.5 billion in debt payments this year or an 8.7% increase from last year’s actual payout of P612.7 billion. It borrows mainly to finance the country’s budget deficit. MANILA – An increase in the government’s foreign borrowings will not have detrimental effects on the country’s inflation rate, the Bangko Sentral ng Pilipinas (BSP) said on Friday. According to BSP Deputy Governor Diwa Guinigundo, the government’s plan to issue up to $1.5 billion worth of yen-dominated bonds overseas will not create the kind of foreign exchange inflow that would significantly impact inflation. He made it clear that the foreign exchange generated by government borrowing goes directly to the BSP and does not make it to the open market. Thus, he said, the additional foreign funds to be raised by the government will not affect exchange rates. Guinigundo admitted, however, that the liquidity the borrowing would generate might have an incremental effect on domestic money supply. But he said this is being closely monitored by the BSP. The government has to tap more borrowings to finance its budget deficit as tax revenues continue to dwindle because of the current economic slump. The BSP reiterated that even with heavy foreign exchange inflows in the past, the country’s inflation rate has remained steady. It noted inflation only started to surge when oil and petroleum prices soared to record levels. Philippine annual inflation eased to an 18-month low of 3.3 percent in May, below market estimates. With food and fuel price pressures easing, some economists said domestic inflation could fall to 0 percent. The BSP has earlier ruled out the possibility of deflation even with the economy likely going into recession this year. It hinted of further monetary easing down the road. “At the moment, we see inflation still trending downward, and falling to within target for both 2009 and 2010. While we have reduced our forecasts on inflation, we still don’t see a situation of deflation,” BSP governor Amando Tetangco said. We want to raise P5 billion from the debt sale, but we were allowed by the central bank to raise up to P7 billion,” DBP Treasurer Maria Teresa L. Quirino said in a telephone interview yesterday. Investors may avail of the notes with a life of 10.5 years until March 15. The issue date is set for March 20. Minimum initial placement for investors is P500,000 and may be increased by increments of P100,000 thereafter. The debt papers, due in 2022 with a call option on the fifth year, will carry an interest rate at par with the 10-year papers’ secondary market rate. At the secondary market yesterday, the 10-year securities were quoted at 4.9876%. “With the DBP strategy roadmap aligned to the priority thrusts of Pres. Aquino’s administration of poverty alleviation, job generation and good governance, the bank plans to provide its stakeholders a wider access to social services…” he said. “DBP will [also] actively participate in the national government’s initiatives to finance infrastructure development projects, prioritize financing of environmental projects, address the basic needs of housing, health, education, livelihood, among others, and assist in the financing of MSME (micro, small and medium enterprise) projects,” Mr. del Rosario added. The bank obtained Monetary Board approval for the debt sale on Feb. 2. BDO Capital and Investment Corp., BPI Capital Corp., Deutsche Bank AG Manila and ING Bank N.V., (Manila Branch) were mandated to be the joint lead arrangers of the Tier 2 sale. Multinational Investment Bancorporation was tapped to be a selling agent while Land Bank of the Philippines was mandated as a public trustee of the debt sale. In March last year, DBP raised $300 million from the sale of 10-year global bonds. Other banks that have tapped the debt market this year, so far, are Land Bank of the Philippines (Landbank), Security Bank Corp. (Security Bank), Rizal Commercial Banking Corp. (RCBC), BDO Unibank, Inc and Philippine Savings Bank (PSBank). In January, Landbank raised P10.5 billion from the sale of 10-year unsecured subordinated debt qualifying as Tier 2 capital that yielded 5.875%. Last month, Security Bank raised P5 billion from the sale of seven-year long-term negotiable certificates of deposit that carried a 5.5% yield. RCBC raised $200 million from offshore markets from the sale of five-year unsecured fixed-rate notes with a coupon and yield of 5.25%. BDO raised $300 million from both offshore and onshore markets from the sale of five-year US dollar-denominated fixed rate senior notes with a 4.5% coupon rate and a 4.625% yield. MANILA, Philippines – The total outstanding debt of the government went up to P4.951 trillion at the end of 2011, latest data from the Bureau of the Treasury showed. The end-December 2011 debt stock is 4.94 percent higher than the end-December 2010 level of P4.718 trillion as the government borrowed more from domestic and foreign sources, latest data also showed. Theoretically, at this level, each of the 94 million Filipinos is indebted by P52,670. Compared to the end-November 2011 level, the latest debt stock level is also higher by P18.82 billion or 0.38 percent. Of the total debt, P2.077 trillion or 41.97 percent is owed to foreign creditors and P2.873 trillion or 58.03 percent is owed to domestic creditors. Domestic debt increased by P155 billion from 2010 to 2011, data also showed as the government issued more Treasury bills and bonds that it redeemed during the period. Similarly, foreign debt increased by P77 billion or 3.89 percent at the end of 2011 from the P1.999-trillion level at the end of 2010. Compared to the end-November 2011 level, domestic debt as of end-December 2011 increased by P23.09 billion as the government borrowed more debt than it had paid off during the period. However, the Treasury said this was partially offset by the P7.13 billion depreciation of the local currency against the dollar. The contingent debt of the government also rose to P573 trillion from the 2010 level of P549 trillion as the state guaranteed the debt of other government agencies. The contingent debt is composed mainly of guarantees issued by the government. The Aquino administration hopes to slash the budget deficit as a ratio of gross domestic product (GDP) to two percent in 2013 from the projected 2.6 percent this year. This year, the deficit is projected to hit roughly P286 billion or 2.6 percent of GDP from the actual P197.8 billion or two percent of GDP recorded in 2011.
a good one. You always take your chances. You do not even ask me once if they were true! you that much yet, you only give her harm. broke it by your vain whispers. nurture, and guidance, that’s what I long for. disregard my feelings! For they deceive me! of thanksgiving and be with you eternally….